Last year I discovered that for Rosh Hashanah there can be more than apples and honey. The Sephardic celebration has a whole array of symbolic foods. 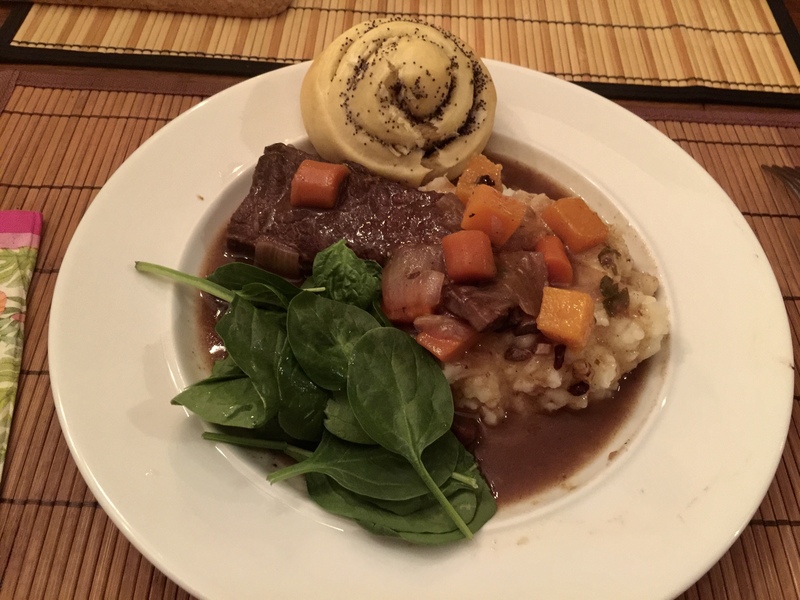 This year we try to combine them into a cohesive side to our main event which is Instant Pot braised boneless short ribs with vegetables and mashed potatoes. 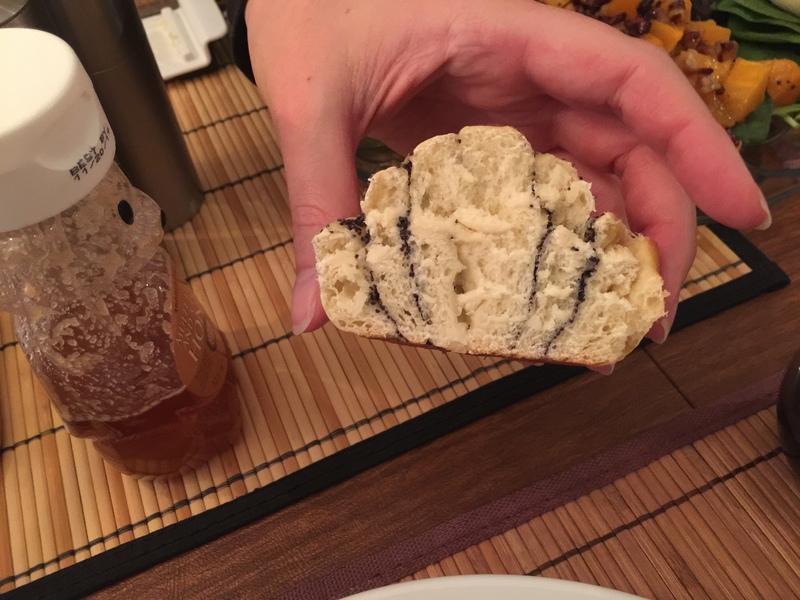 Our daughter also takes the traditional challah and makes personal-sized onion and poppy seed rolls. On the plate are butternut squash with pomegranate seeds, dates stuffed with goat cheese, the ubiquitous apple, pickled green beans with cannellini beans, spinach, and our interpretation of a ram’s head – hard boiled eggs made to look like heads. The rolls came out a little on the pale side but were delicious nonetheless. Here’s a look at the inside. If all these foods are not enough, John makes delicious boneless short ribs in the Instant Pot and I mash up some potatoes. We have such fun telling jokes and making puns about the food. (This is apparently part of the tradition) and wish each other a happy and sweet new year! 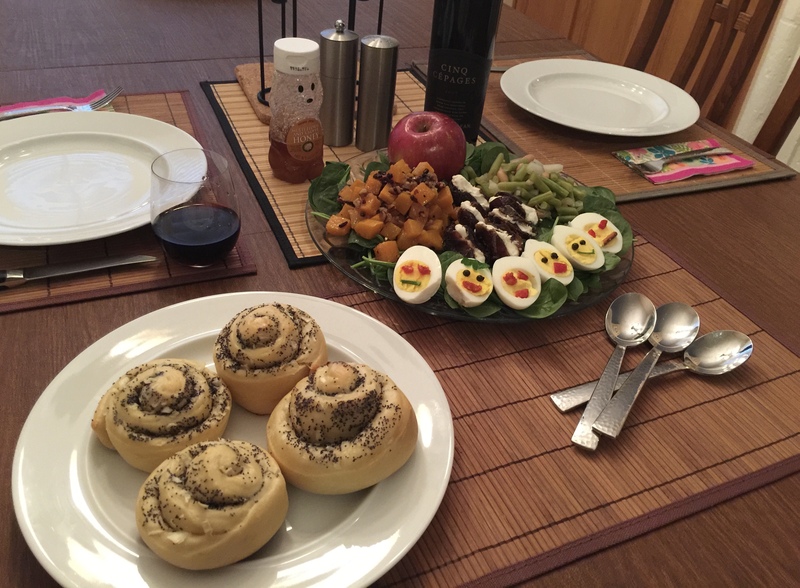 This entry was posted in Baking, Beef, Vegetables and tagged holiday, homemade rolls, mashed potatoes, short ribs. Bookmark the permalink.